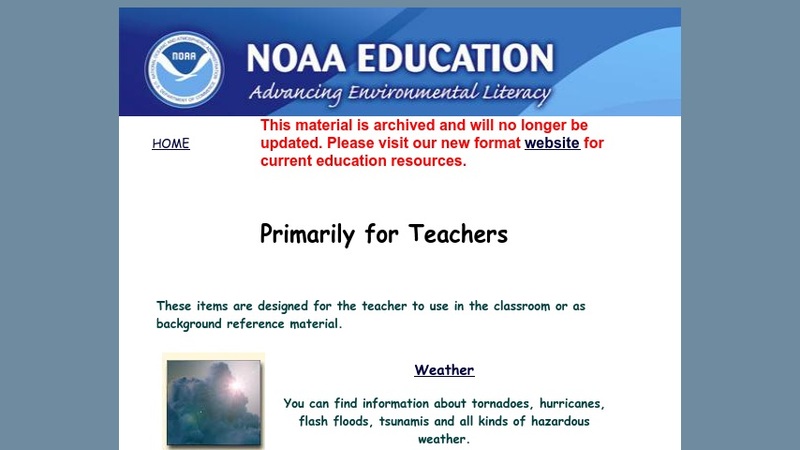 Teachers can access a variety of materials for use in the classroom, or as background reference material. The materials are grouped according to topic: Weather, Climate change, Oceans, Satellites and space, and Training. A list of external links to related materials is also provided.